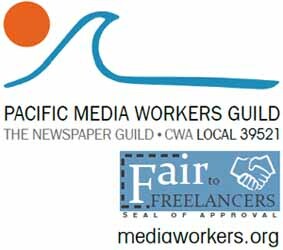 Editor’s Note: This important media access bill (AB 1270), sponsored by California Assemblymember Tom Ammiano, has the backing and full support of the Media Workers Guild which endorsed the legislation at its January 21 meeting. Bills loosening restrictions on media access to prisoners have been vetoed eight times by three California governors, but the latest version stands a chance to become law. This month, the Assembly Appropriations Committee unanimously passed AB 1270, also known as the “California Prisons: Media Access” bill, and it is expected to sail through the Senate in March. Of course, lawmakers have repeatedly approved nearly identical legislation in the past, only to see it fall victim to vigorous lobbying by the Department of Corrections and victim rights groups. But neither opposes the current bill, which was sponsored by Assemblyman Tom Ammiano. The prisons have been operating virtually free from public scrutiny, a travesty given the nearly $10 billion the state prisons take in each year in taxpayer dollars, Amminao says. The bill would not only allow journalists increased access to inmates, both randomly and in pre-arranged visits, it would also prohibit corrections officials from retaliating against those who talk or correspond with reporters. Since the last legislative go-round, an inmate hunger strike delivered a public relations pounding to the corrections department and its use of extended isolation in underground, windowless cells and other abuses in Secure Housing Units (SHU). Prison officials barred reporters from interviewing the inmates during the July action, which grew out of the maximum-security Pelican Bay Prison and spread to include more than 6,500 prisoners. The state clamped down on media interviews in 1996, abruptly closing the curtain on the state’s penal institutions, ostensibly to avoid glamorizing convicted felons and re-traumatizing their victims. Theoretically, the state already provides media access. But to interview an inmate, a reporter must wait for weeks as the request percolates through the prison bureaucracy. If and when the request is approved, the reporter may have to conduct the interview under the watch of a prison employee. Notebooks, records and camera are forbidden. And prisoners are not entitled to write to journalists in confidence. Crime Victims United has “fought and fought” to keep similar bills from becoming law, said president and chair Harriet Salarno. But the statewide organization has withdrawn its opposition since the current incarnation requires crime victims to be notified of interview requests. While Gov. Jerry Brown in a previous term created the Inmate Bill of Rights, which included media access to prisoners, journalists and free speech advocates say there is no guarantee Brown will sign Media Access, presuming it passes. “That’s the $64,000 question,” said Jim Ewert, legal counsel for the California Newspaper Publishers Association, which supports the bill along with the Pacific Media Workers Guild. Supporters include the American Civil Liberties Union of California, California Broadcasters Association, California Newspaper Publishers Association, California Public Defenders Association, Ella Baker Center for Human Rights, California Families to Abolish Solitary Confinement, Drug Policy Alliance, Fair Chance Project, Services for Prisoners with Children, Media Workers Guild and the California Correctional Peace Officers’ Association, which includes prison guards and parole officers. Rebecca Rosen Lum is a veteran journalist who covers faith, culture and social issues. She was nominated for a Pulitzer Prize in beat reporting for her coverage of Richmond, Calif. at the Contra Costa Times. Her series on the financial abuse of elders resulted in changes to California state law, and her reporting on conditions at residential hotels led to criminal charges and the closure of a facility. She is currently at work on a foundation-funded series on the impacts of incarceration on communities and the promises of realignment, a California state program that moves low-level offenders from state prisons to county jails.Her many awards include top honors from the California Teachers Association, the California Newspaper Publishers Association, and the National Association of Consumer Advocates. She also chairs the Pacific Media Workers Guild’s pioneering freelance unit. Under her leadership, the unit obtained dental and vision benefits, and introduced the Fair Freelance Seal, a commitment to decent pay and working conditions carried by a growing number of publications. She is working with independent journalists to launch new freelance units in Oregon, Washington and Colorado. She has taught English and civics to newcomers in San Francisco’s Chinatown, and serves as scholarship chair for the East Bay Press Club. Comments for Bill Would End Journalist Lockout at State Prisons are now closed.